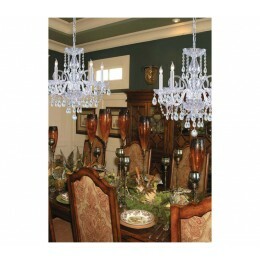 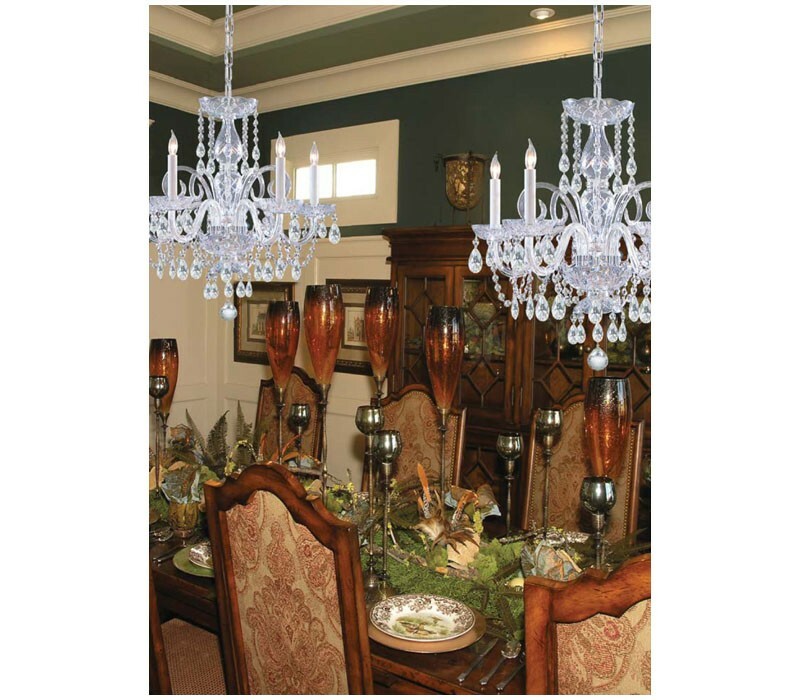 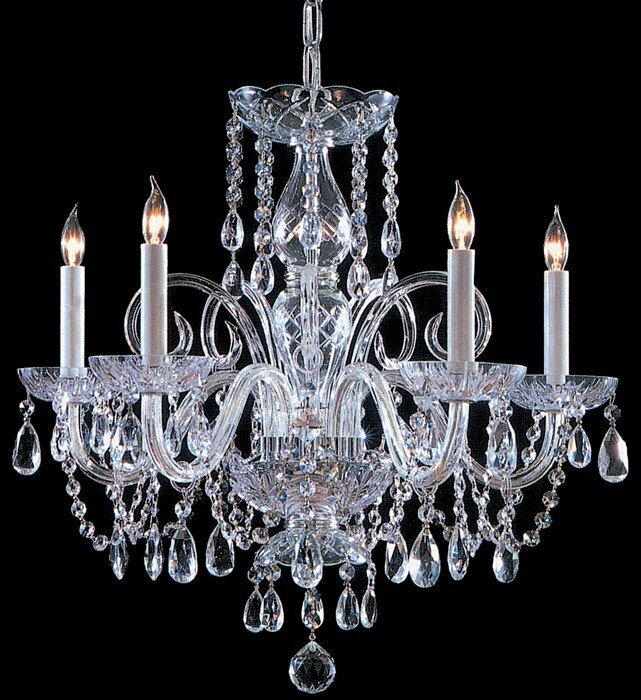 The Crystorama 1005-CH-CL-SAQ Traditional Crystal collection Chandelier Lighting in Polished Chrome uses Incandescent light output and brings Antique style. 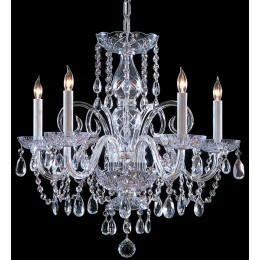 This item is 21"H x 22"W. The total wattage is 300 and the voltage is 120 volts. 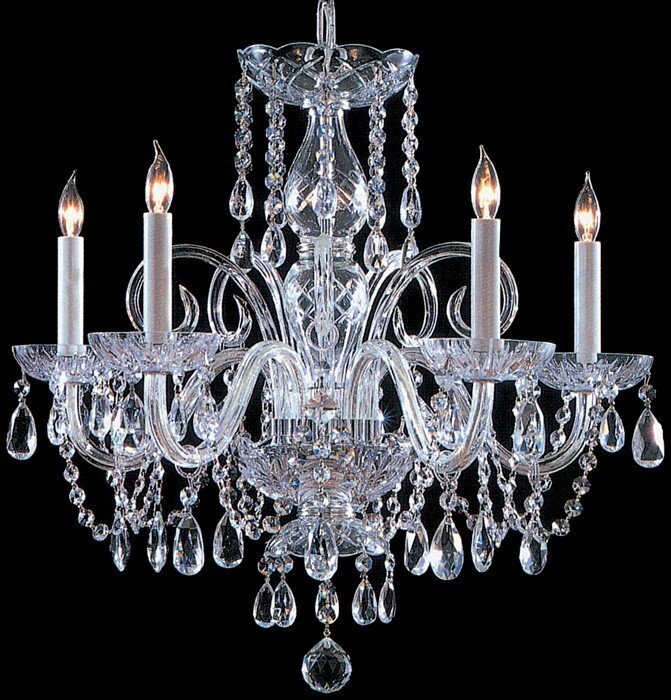 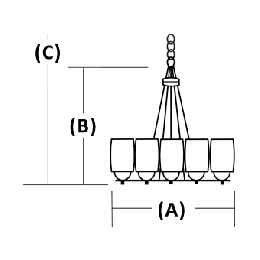 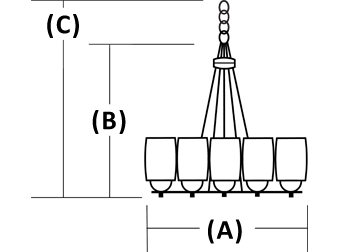 The Crystorama 1005-CH-CL-SAQ requires 5 bulbs. 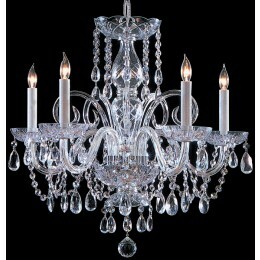 Additional Information: Shade-Clear Swarovski Spectra Crystal.